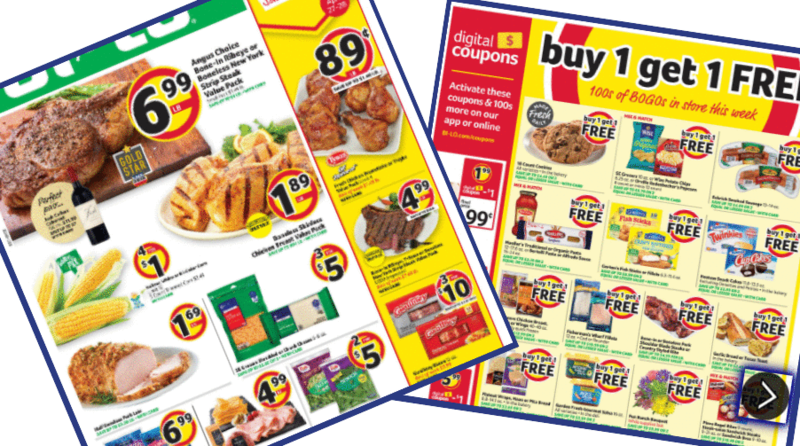 Here are the deals from the new Bi-Lo weekly ad that starts on 4/24! Get 49¢ pasta, 89¢ sugar, FREE toothpaste, and more. This week you can join in a FREE Declutter Your Scariest Space Challenge. This challenge will give you the tools to whip your scariest space into shape! I love broccoli just the way it is, but sometimes I like to mix it up a little bit. This warm and creamy broccoli salad recipe contains not only the crunch of sunflower seeds and a creamy dressing, but there’s BACON, which in my opinion always makes a dish better. 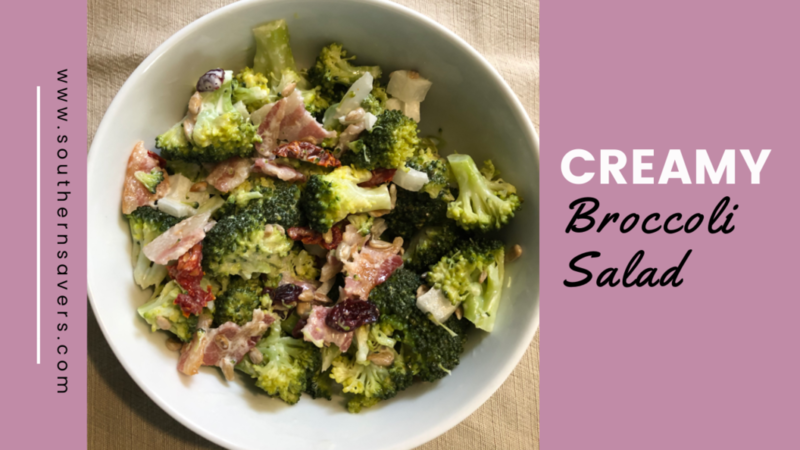 This broccoli salad recipe is naturally gluten-free, but it’s also fairly low-carb as long as you use dried cranberries with no added sugar and substitute the sugar in the dressing with a low-carb-friendly sweetener like erythritol. If you don’t like any of these particular mix-ins, then feel free to substitue or replace with ones you like better. You could use diced ham instead of bacon, or raisins instead of cranberries. Let’s talk for a minute about the dressing. I could seriously drink it from a cup if that weren’t inappropriate. It’s tangy from the mayonnaise, mustard, and vinegar, but then there’s also a bit of sweetness. If you find that you like this dressing as much as I do, you can put it on a regular old lettuce salad or even use it for coleslaw. Sometimes I mix up a big batch of it in a Mason jar and keep it in the fridge for an easy dressing all week long. If this broccoli salad recipe doesn’t float your boat, you might like Paula Deen’s broccoli salad. Steam the broccoli for 3 minutes on the stove or in the microwave. While the broccoli is steaming, mix the dressing ingredients together in a small bowl. Cut the steamed broccoli into bite-sized pieces and place in a bowl. Add the bacon, onion, sun dried tomatoes, cranberries, and sunflower seeds to the broccoli. Top with the dressing and stir to combine. This salad is really good served at room temperature, but you can also put it all together and let it chill before serving. This allows the dressing to really soak into the salad and tastes amazing as well! Try our Easy Sauteed Green Beans for another great vegetable side! 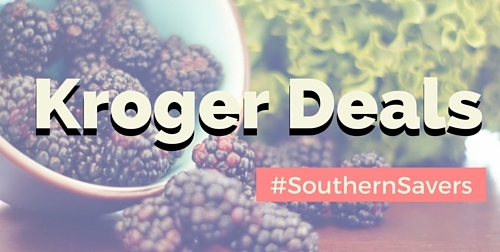 Head to your store starting tomorrow, 4/24 to get the deals from the new Kroger weekly ad! Get 99¢ mouthwash, a Larabar multipack for $1.49, $1.50 LaCroix, and more. Save $4 instantly WYB (4) participating products, Prices listed are after instant savings. These count as store coupons and can be stacked with mfr coupons. 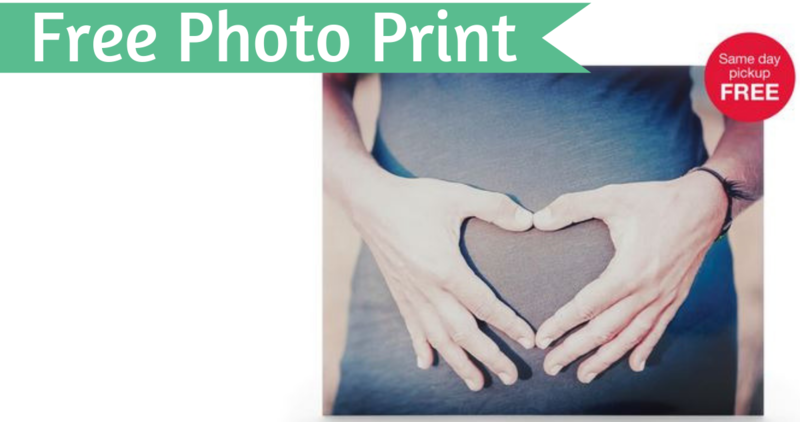 Today’s the last day you can use this CVS Photo coupon code to get a FREE glossy 8×10 Photo Print! Plus, you’ll get free same day in-store pickup. This would be great to use for a Mother’s Day gift! Through tomorrow (4/24), you can grab these super cute personalized kids pajamas from Jane.com for just $12.99 (reg. $41.99)! There are 6 different colors to choose from and 4 different fonts to customize the pjs. Colors and sizes are running out fast so hurry over to grab this deal. This sale ends tomorrow, 4/24. 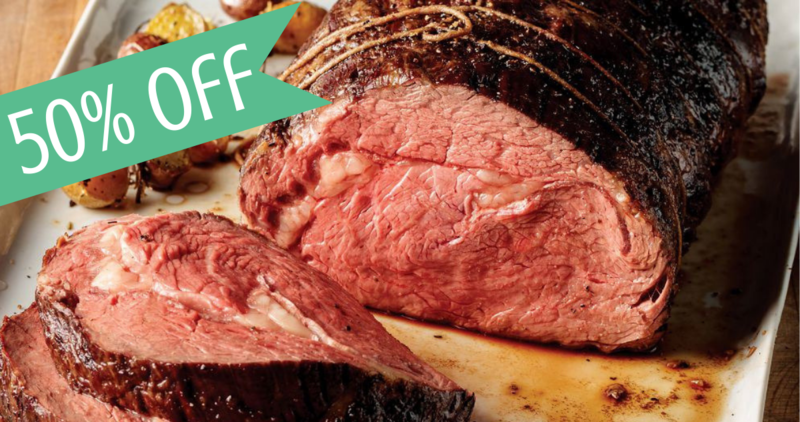 Now through May 4th, you can use this new Target Cartwheel offer to save 50% off Prime Rib Beef Roast! This is a rare offer so make sure not to miss it. Note: this offer is valid in-store only. 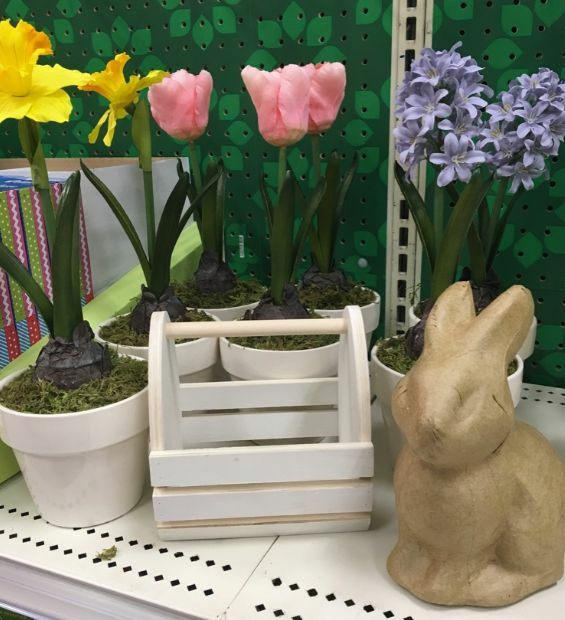 Here’s a quick tip if you’re headed to Target today! 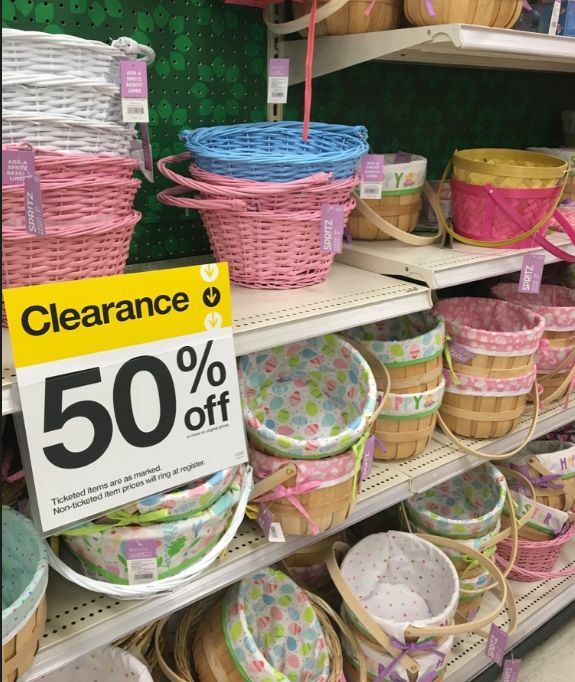 Be on the lookout for up to 50% off Easter clearance items! Grab non-perishable items like baskets, party items, dye kits, decorations and plastic eggs so you’re stocked for next year. 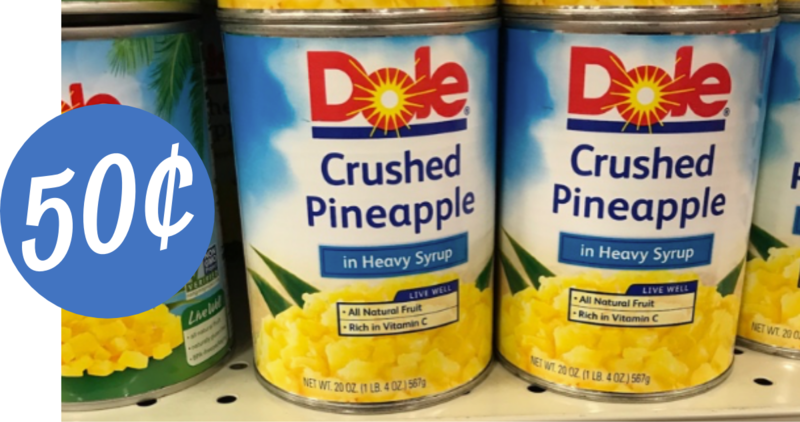 Head to you local Walgreens where you can use this printable Dole Coupon along with a sale to grab 20 oz Dole Canned Pineapple for just 50¢ per can (reg. $1.89)!